The Fujifilm X-T30 and Sony A6400 are two of the best cameras you can buy for under $ 1,000. The X-T30 borrows heavily from the $ 1,500 X-T3, including the excellent sensor, processor, and autofocus system. Likewise, the A6400 inherits technology from the higher-end A6500, and also includes Sony’s newest artificial intelligence-based autofocus system that works wonders for photographing moving subjects. But for as similar as these cameras are, they have very different souls. Fujifilm designs its cameras to recreate a classic, film-era shooting experience, whereas Sony embraces its position as a tech company. The A6400 looks more modern, and the user experience is less centered on physical buttons and dials. Both cameras are so close in terms of capabilities that it would be difficult to pick a definitive winner, but so far apart in terms of design and user experience that you may easily fall in love with one but not the other. Here’s how these two $ 900 mirrorless cameras compare. Both cameras feature APS-C sensors with a crop factor of 1.5x compared to full-frame. Both also feature similar megapixel counts, although the Fujifilm X-T30 squeezes out a couple more with 26 over the Sony A6400’s 24. The X-T30’s sensor has two unique attributes: It is backside illuminated (BSI), meaning the circuitry is on the back of the sensor rather than the front, and it uses Fujifilm’s more complex X-Trans color filter array which helps control moiré and can produce sharper images in some situations. In theory, a BSI sensor will have improved light gathering capability and thus perform better in low light, but it is actually the Sony that has the higher ISO rating, expandable to 102,400 compared to the Fuji’s expanded maximum of 51,200. Real world results put the two neck-and-neck, though, with both cameras showing similar noise levels at equal ISO levels. We’ll give the Fuji the edge for the more advanced tech, slightly higher resolution, and reduced moiré — but honestly, both cameras are capable of producing beautiful results. These cameras are both very fast, but they handle continuous shooting in different ways. The Sony is the faster of the two when it comes to shooting with the mechanical shutter, with a burst rate of 11 frames per second compared to the Fuji’s eight. However, that’s as fast as the Sony gets, whereas the Fuji can churn out 20 fps in electronic shutter mode, or 30 fps with a 1.25x crop. 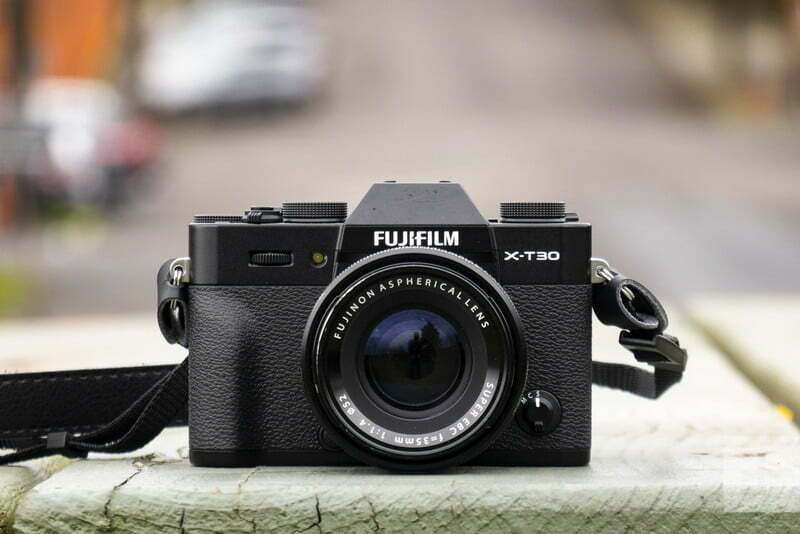 Easy win for the X-T30 then, right? Not so fast. The A6400 also benefits from a significantly larger image buffer which can hold 49 RAW photos; the X-T30’s can store only 18, which equates to less than a second of shooting in its highest speed modes. The Sony, therefore, will be the better choice for keeping up with continuous action, like a sporting event, while the Fujifilm will have the edge if you need to capture as many frames as possible in a short amount of time. For practical use, the Sony has an edge. Both of these cameras feature very capable autofocus systems that sound identical on paper. Each uses on-chip phase-detection with 425 focus points. Each also has face and eye-tracking modes that work quite well, but this is where Sony’s prowess as a technology leader gives it an edge. 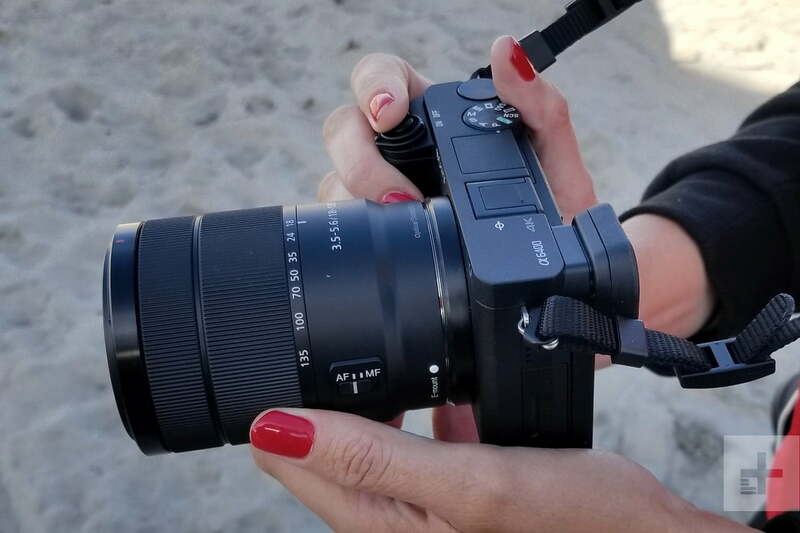 The A6400 features the company’s newest “Real-time tracking” mode which does an incredible job of identifying and tracking subjects, even fast-moving ones. It’s a game-changer for action photography, but it’s also very easy to use — by placing the focus box over a person’s face, the camera knows to look for eyes. Place the box over another object, and it will track that object without being distracted by any faces or eyes that enter the frame. Sony has long been a dominant player in the video world, but Fujifilm has worked tirelessly over the past couple of generations to bring its cameras up to speed. And with the X-T30, it may have beat Sony at its own game. Both cameras can record 4K at up to 30 frames per second, but the X-T30 is the only one that gives you options for both UHD (3,840 x 2,160) and DCI (4,096 x 2,160) resolutions. Both also feature optional logarithmic tone curves (Fuji’s F-Log and Sony’s S-Log) that preserve dynamic range by recording a very flat image with low contrast and saturation, but the X-T30 also inherits the excellent Eterna film simulation, a profile based on its discontinued motion picture film. Eterna was introduced in the flagship X-H1 and is a beautiful profile for shooting film-like videos. For high-end videographers who plan to spend time color grading in post, the X-T30 also boasts a higher bitrate of 200 megabits per second, twice that of the A6400. Additionally, while both cameras record 8-bit 4:2:0 footage internally, the Fuji can also output 10-bit 4:2:2 video over HDMI into an external recorder, the only sub-$ 1,000 camera to do so. Sony and Fujifilm have very distinct approaches to designing cameras. The A6400 looks sleek, minimalist, and modern, where the X-T30 resembles a classic camera from the film era. It’s not all about looks, though; we also appreciate the dedicated shutter speed and exposure compensation dials on top of the X-T30, as well as the center-mounted viewfinder. It feels closer to a professional camera in terms of its direct-access control. The Sony’s biggest advantage is the 180-degree flip screen, which makes it better for selfies and (potentially) vlogging. However, because it flips up, rather than out to the side, it will be blocked by any light or microphone attached to the top of the camera, which somewhat negates its usefulness for vloggers. This will largely come down to personal preference, but we give the nod to Fujifilm here for its great control layout and classic good looks. Both cameras feature Wi-Fi and Bluetooth for wireless image transfer and remote control from your smartphone. In terms of physical connections, they are also pretty similar, with some small, but important, differences. The Sony uses an older Micro USB 2.0 connection, whereas the X-T30 features a new USB-C port. Importantly, it can also send an audio signal over that USB-C port which lets you connect a pair of headphones via an adapter; the A6400 has no headphone jack whatsoever. Both cameras feature microphone jacks, but the Fuji’s is a smaller-than-normal 2.5mm type. The Sony uses the traditional 3.5mm jack, which means you can connect a standard on-camera microphone without an additional adapter. Both use Micro HDMI ports. In CIPA testing, the A6400’s battery outlasted the Fujifilm’s by 20 exposures. As small mirrorless cameras, neither has particularly great battery life: 400 shots per charge for the A6400, 380 for the X-T30. As always, how much life you pull out of the battery depends greatly on how you use the camera, but this does suggest the Sony has a slight edge. These cameras are direct competitors, and yet have completely different design philosophies. Overall, we prefer the X-T30 for both general photography and videography (especially if you invest in an external HDMI recorder). But for sports and action photography, the Sony’s advanced Real-time tracking autofocus will give it an edge. But no camera is an island, and image quality is only as good as the lens in front of the camera. We are big fans of Fujifilm’s XF lens lineup, which contains some excellent fast primes specifically designed for the APS-C format. Most of Sony’s best lenses are built for larger full-frame sensors, which means you pay for glass you’re not using if you mount one to the A6400. The Fujifilm X series is simply the more complete and better system if you’re fine sticking with APS-C; however, if you want the option of moving to full-frame one day, that’s where it may make sense to go with the Sony. You can start investing in full-frame glass now, and upgrade to a full-frame camera down the road. The simple truth is that you can’t go wrong with either of these cameras. But before you buy, factor in your future needs to the purchase decision, because one system may serve you better down the road.